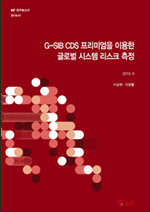 Since late last year, the Korean government unveiled a series of plans to improve credit recovery se .. Preliminary License for Online-Only Bank, Mar 2019 (FSC) Financial Regulatory Sandbox Launched, Apr .. In financial transactions, customers are at a disadvantage compared to financial firms in terms of b .. 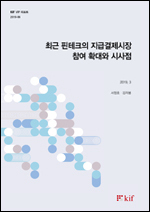 In Korea, business cycle has grown shorter, and its magnitude smaller, since the 1997 Asian currency .. 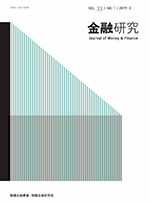 Recently, domestic banks’ profitability improved significantly thanks to an increase in interest inc ..
Financial Policy Plans to Support Innovation-Led Growth, Mar 2019 (FSC) FSC to Delay Implementation ..
Financial Policy Roadmap for 2019, Mar 2019 (FSC) FSS Governor Marked Korean Companies’ Inclusion i .. In the aftermath of the 2008 global financial crisis, global oversupply and weakening competitivenes .. 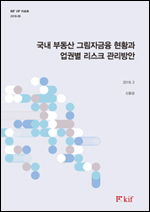 In 2018, Korea’s per capita GNI surpassed USD30,000 for the first time, 12 years after reaching the .. In the post-crisis period of low interest rate environment, .. Recently, the share of low-income households that have incur .. In the past four years, technology financing service in Kore .. In the fourth quarter of 2018, Korean economy showed an unex .. In the third quarter of 2018, the Korean economy grew at a s .. In the first quarter of 2018, the Korean economy grew at a h .. The Bank of Korea (BOK) raised the base rate?7 day repo rate .. The Bank of Korea (BOK) has maintained the base r .. The Bank of Korea has maintained the base rate-7 date repo r .. 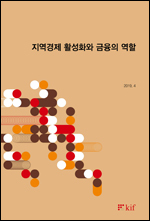 Copyright (C) 2014 Korea Institute of Finance. All rights Reserved.